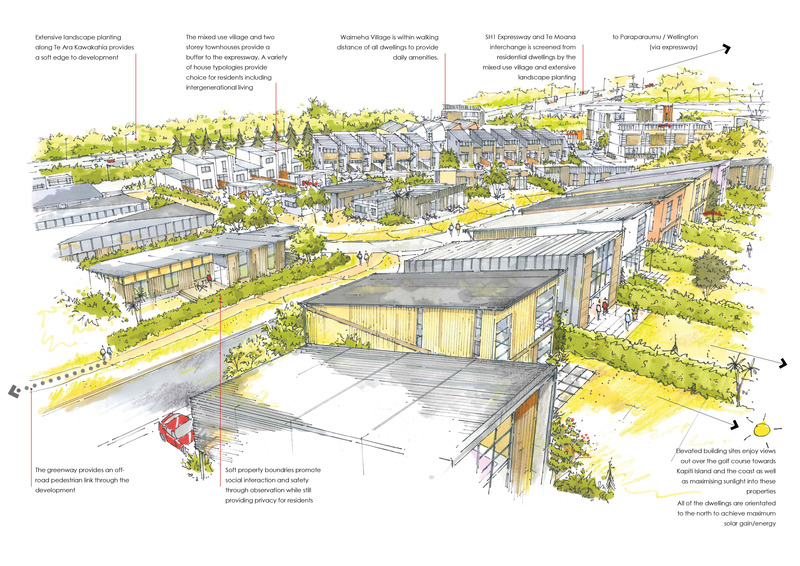 At Ngarara we are enthusiastic promoters of “Intelligent Urbanism”, a movement that attempts to deliver a more considered form of urban design by first considering a wider range of inputs into the design of a new development. These inputs include factors such as balancing nature, tradition, social equity, built form design, regional and local connectivity. All of these information streams are brought together in a considered design process we like to call “Integrated Design”. Integrated Design isn’t a ‘thing’, it is a process that involves the thoughtful integration of all elements of design. It’s our objective to improve quality of life through design while maintaining and enhancing environmental integrity. We are trying to perfect our understanding of the complex relationships between housing, people, open spaces, modes of transportation and urban structure – none of which exist in isolation of each other, all of which interact to create 2-way, interdependent relationships. With this in mind, we have encouraged and enabled our specialists in all areas of urban development to work together. In Stage 1 of our development we have specifically dealt with the interaction between our residential and mixed-use zone; managed views and sun to optimise for all properties; considered the impact of the visual and noise impacts of the highway; maximised privacy while maintaining “soft property boundaries” to improve social interaction and safety through observation and attempted to maximise the built form typologies to allow for intergenerational living. It’s progressive and it’s challenging but we’re excited to look beyond our borders to see how integrated urban design has succeeded in achieving socially and environmentally sustainable outcomes in other parts of the world. The ethos is that we’re not just building homes, we’re building a community and we care about how you experience your living space. At Ngarara, we are striving to deliver high quality integrated design solutions by paying pay attention to the intricate details of creating a happy, healthy community. A community to belong to.